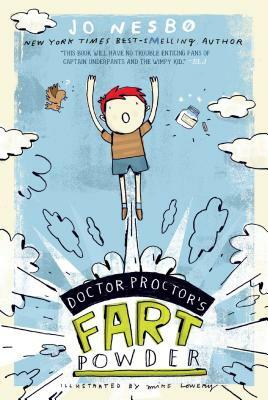 Bestselling Norwegian mystery author Jo Nesbø enters the world of children’s books with Doctor Proctor’s Fart Powder, the first book in this very funny middle-grade series. Filled with magic, wit, and bathroom humor, Doctor Proctor will keep boys and girls laughing until the end. But when Doctor Proctor creates an industrial-strength version that can send people to outer space, the kids must go to great lengths to protect the invention and keep it out of the hands of their neighbors, who want to use the powder for evil purposes. In the spirit of Roald Dahl and Lemony Snicket, Doctor Proctor offers a winning combination of humor, adventure, and absurdity that kids (of all ages) will love—proving that Jo Nesbø can keep you on the edge of the seat and make your sides split in equal measure.